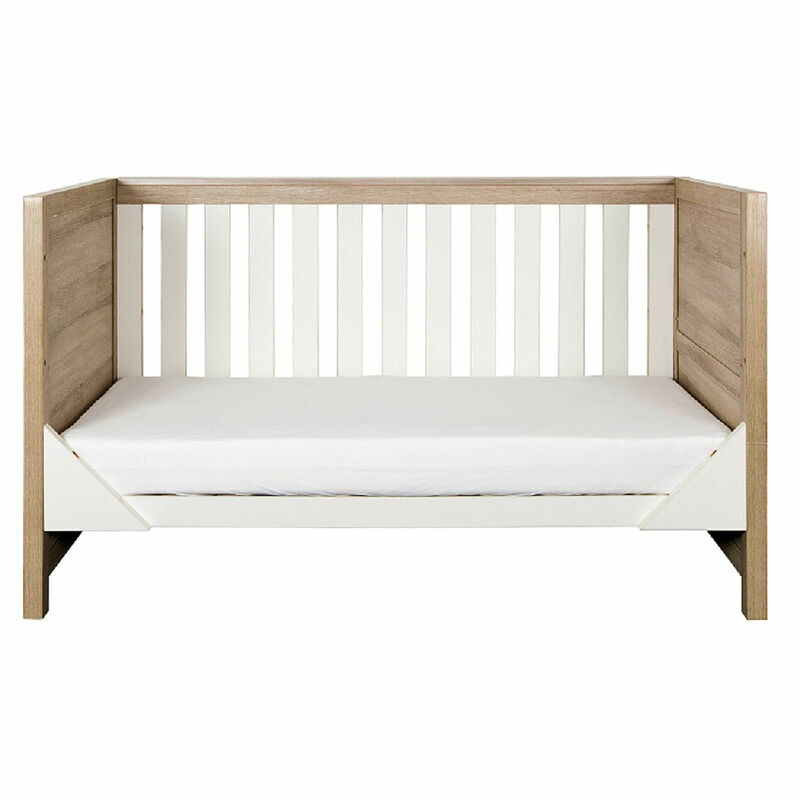 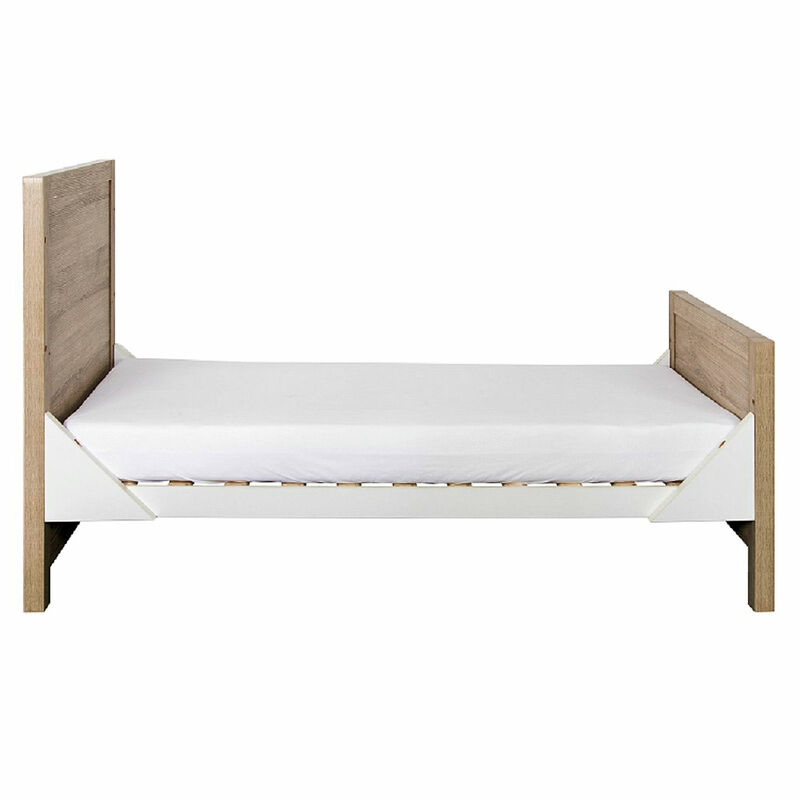 The Contemorary-styled Modena Cot Bed from Tutti Bambini would make a beautiful addition to your child’s nursery. 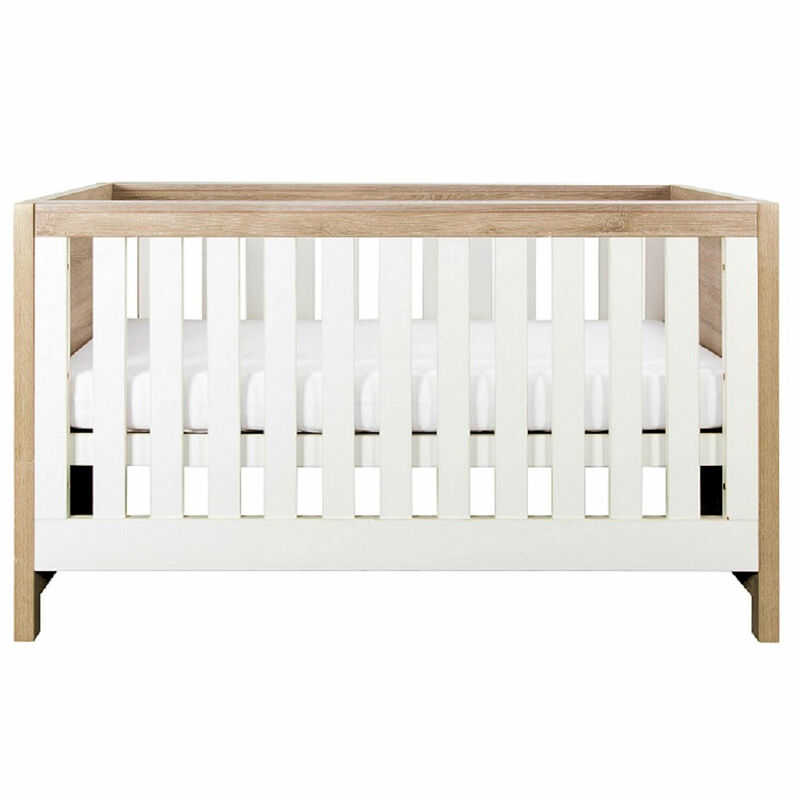 With its stylish classic oak finish with white detailing the Modena has been manufactured to the highest of standards offering you the option of 3 base height positions to help prevent back strain from constantly bending low to pick baby up. 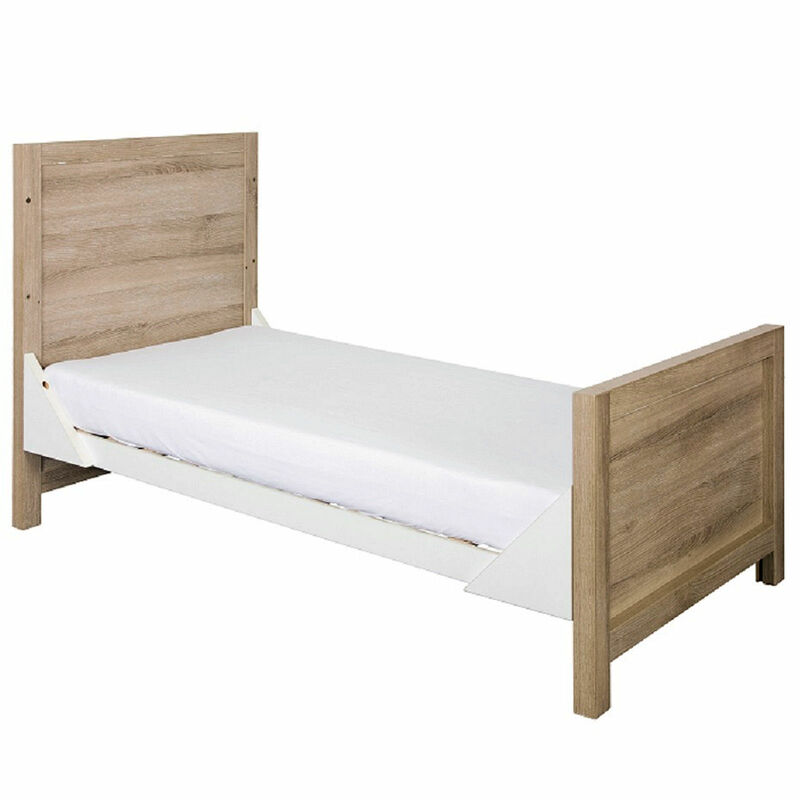 This elegant cot bed comes complete with teething rails which help to protect your little ones delicate teeth and gums and also protect your beautiful cot top rails. 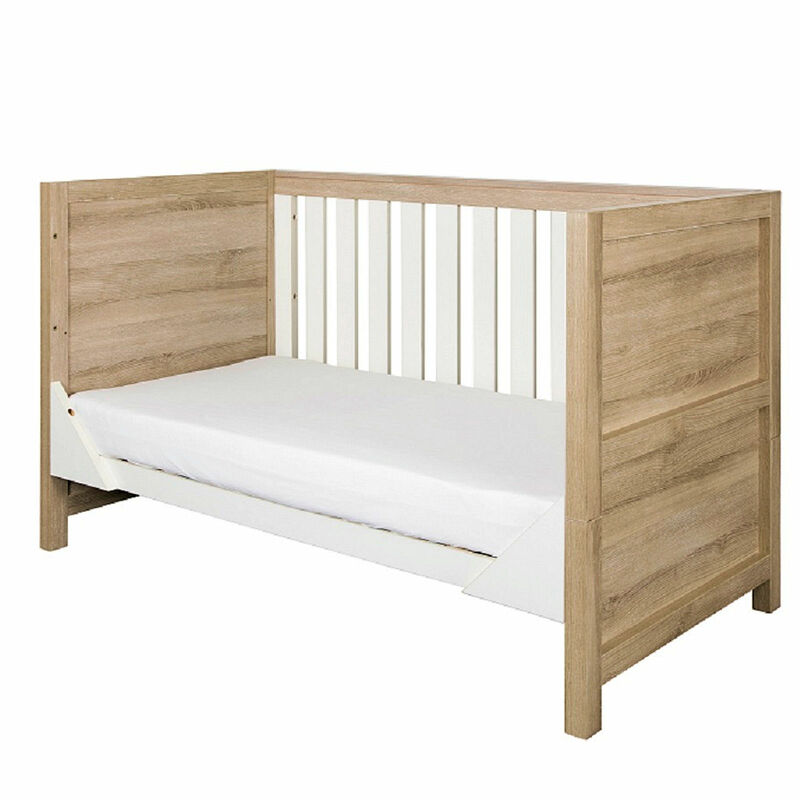 The Modena is suitable from birth and as your child grows, the cot bed easily converts down to an equally elegant junior bed, and then on to a sofa for continued and prolonged use.